That grating sound you’ve been hearing every day, like a dentist’s drill coming through your computer, TV, and cellphone, is all about the failing media, the overrated actress, and the stoner-like debate about whether facts exist or not. But in the background, softer but steadily accumulating volume, too stubborn to be drowned out now that our attorney general is involved, is the news about the Trump administration’s links to Russia and Vladimir Putin and that country’s possible role in our last election. 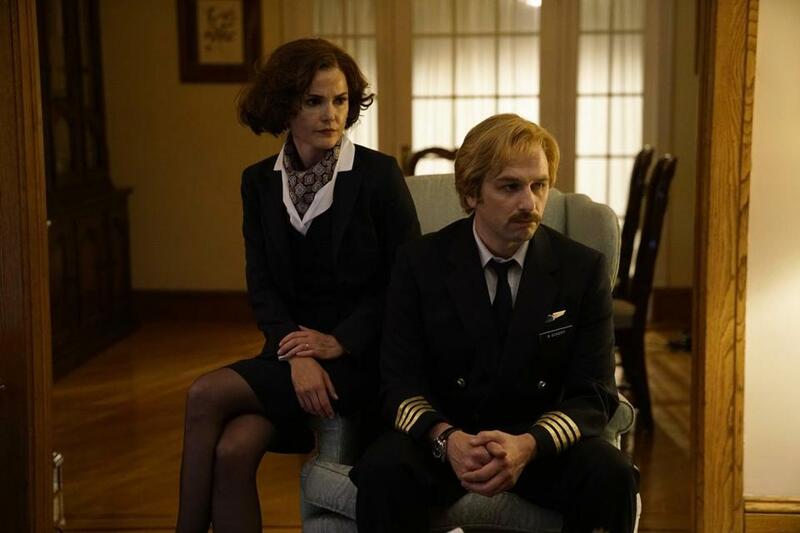 On Tuesday, “The Americans,” which is about spying and Russian-American relations, returns for its fifth and penultimate season amid all of this noise. How does the news, which has included confirmed Russian hacking and the resignation of National Security Adviser Mike Flynn after his calls to the Russian ambassador became known, affect the way we experience the show — if at all? How does real-life context alter our experience of a TV show? The FX drama, a 1980s period piece about Soviet spies posing as an American married couple, has been accidentally relevant and timely for a few years now. After the show premiered in 2013, a chill grew between Putin and President Obama, with Obama’s pledge to “stand with Ukraine,” with competing visions of Syria, and with Edward Snowden’s asylum in Russia, among other things. Fears of Cold War 2.0 — and warnings against fears of Cold War 2.0 — started to rear their heads. Rather swiftly, a TV story that was created as a look back, to provide us with a kind of historical record of a shadowy time in our relationship with Russia, became significant as a vision of just how violent, hate-filled, and subterranean a Cold War can be. In that Obama-era chill, “The Americans” came off as a kind of cautionary tale: No one wins in these dirty dealings, we’re all humans no matter which side we’re on, the Cold War ended, and all the murder and treachery was for nothing. The show served as a warning against a new Cold War, in a way. We could root for Russians Philip and Elizabeth Jennings, played so brilliantly by Matthew Rhys and Keri Russell, because despite their cable TV anti-heroism and violence, despite the fact that they were the enemy, they were relatively sympathetic. They were a family fighting for their beliefs, grooming their teen daughter as a spy in the name of their commitment to their motherland. Now, though, as we ponder the dangers of Russia manipulating our election and the more immediate possibility of an alliance between President Trump and Putin, “The Americans” may be taking on even more complicated meanings. The news media have been focusing on Russia for a couple of weeks now — that’s an eternity in media life span — and the issue has become more urgent. I can’t imagine watching the show without thinking about the headlines. The Obama-era shifts between Russia and the United States were in the air during earlier seasons of the series, but the majority of Americans probably didn’t much think about them; now, I’m betting more viewers of “The Americans” are pondering the future of our relations with Russia and their consequences. I’ve seen the first few episodes of the new season, and the drama remains as tense as ever, with strong, careful writing and an abundance of fine performances. Both the spy stuff and the family stuff work on their own, and they blend together more naturally than you might expect, especially where daughter Paige is involved. But I feel a change in the broader resonance of the show. As the Jenningses conduct their missions, which include a long digging adventure in the season premiere that I won’t spoil here, I found myself thinking more and more specifically about what they and their spy circle are fighting for. And so, I suspect, were the writers (even though show creators Joe Weisberg and Joel Fields have said they don’t write for today’s news, since the show is set in the Reagan era). This season, the conditions in Russia seem to be taking a more forward position on the show. Cleverly, the writers introduce a Russian family in America whose father despises Russia and is glad to be out. We hear him railing against the poverty, hunger, and lifestyle restrictions. “I hate Russia,” he exclaims during a restaurant dinner with Philip and Elizabeth. “If I said that in Soviet Union I would be put in jail. You know how easy it is to go to jail in Soviet Union.” This season, we also follow Oleg, a KGB agent, on his not too happy return to the Soviet Union, where we see some of the burdens of daily life. The more the series showed me of Russia’s recent past, with its profound income gap and rampant corruption, the more I feared for our own future, as Trump and Putin appear to warm to each other as allies. The images of Russia in “The Americans” took on a newly intense dystopian quality. I also found myself thinking about how all of the fictional missions on “The Americans” no longer seem quite as exaggerated as they did before. I’d always assumed that the show’s espionage situations were invented with the goal of making them more TV-friendly. But hearing that Trump associates were in contact with Russians, learning that Russian hacking has been confirmed, seeing the conflicting statements by Trump about whether or not he knows Putin — they’ve all made “The Americans” a little bit more frightening than it already was.